Every optometrist needs a few creative gift items that reflect their passion for what they do. 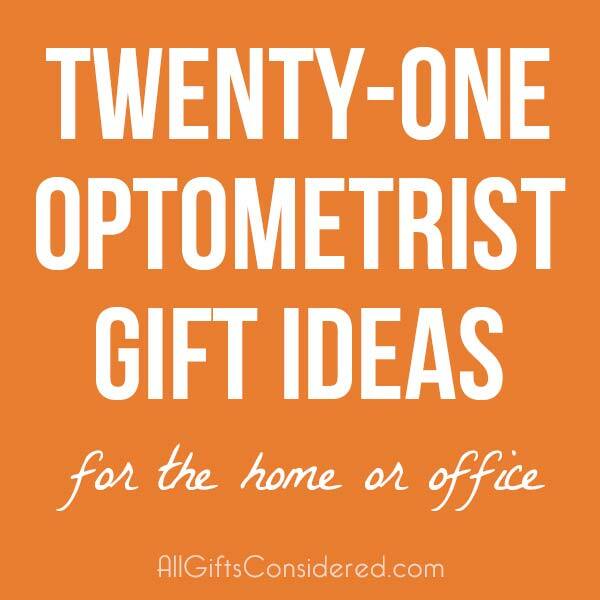 Whether for the home or office, these 21 creative optometrist gift ideas will help you find the perfect optometry-themed gift for any occasion. BTW, why was the phone wearing glasses? Because it lost all of its contacts. 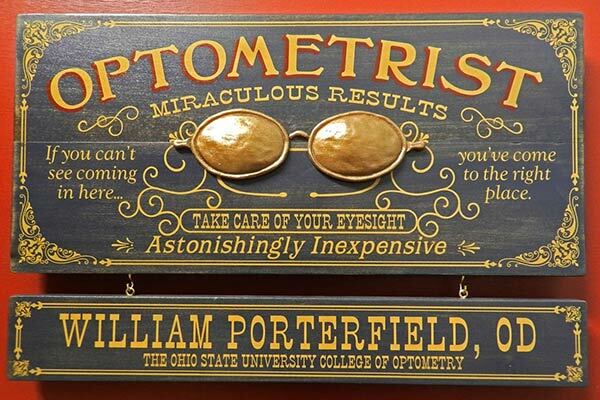 Crafted in the USA and personalized to order, this Vintage Personalized Optometrist Plaque features a hand-carved 3-dimensional eyeglasses applique and witty old-fashioned banter. The optional hanging nameplate can be personalized with the name and/or business name, and you can hang multiple nameplates for offices with several optometrists. 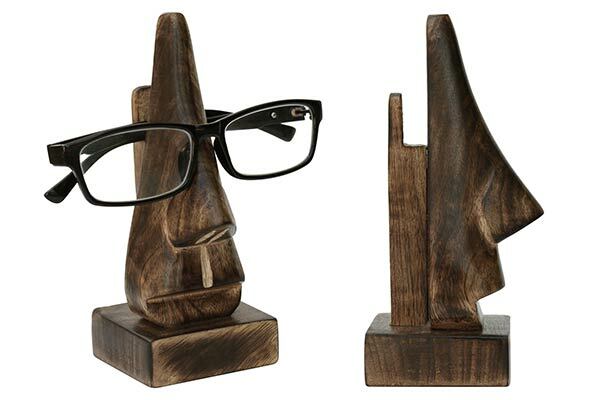 Mango wood bust-style eyeglass holder, looks great on any optometrist’s desk or nightstand. Use as a fun display or to actually hold your glasses! 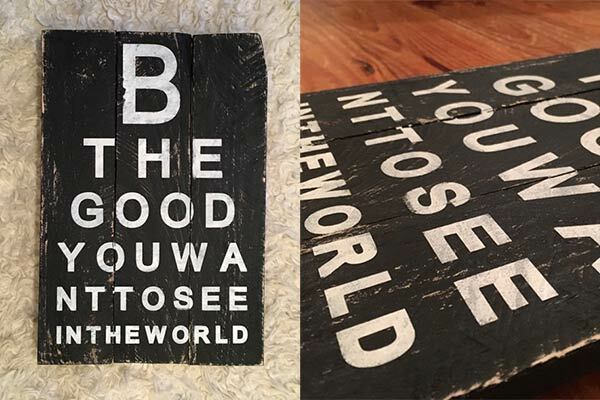 The handmade design pictured above takes the form of an eye chart, which is pretty clever. 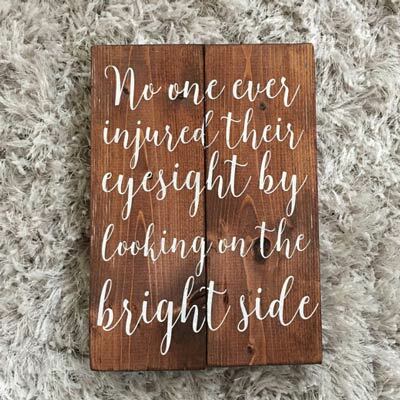 You can also have this quote personalized on a variety of other products – in the eye chart style, or as a simple quote, or even with the recipient’s name or optometry business name added to it. Note that the price of each of those items includes personalization, so you can put anything you like on the item including logos, names, quotes, and more. The classic optometrist’s eye chart, adopted to accent your footwear. This is a good one to wear to the office to impress your patients. 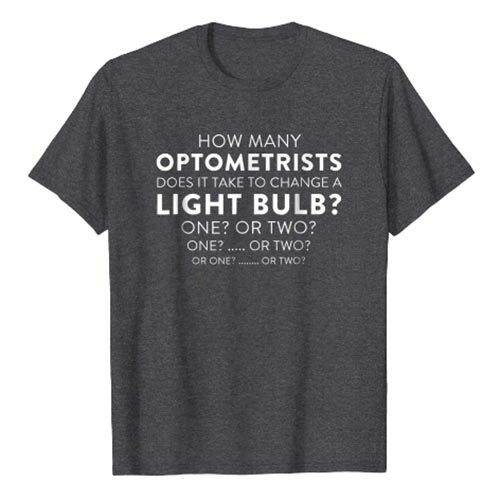 How many optometrists does it take to change a light bulb? One? Or two? Or one? Or…. Two? Also available as a long-sleeve tee. No one ever injured their eyesight by looking on the bright side. 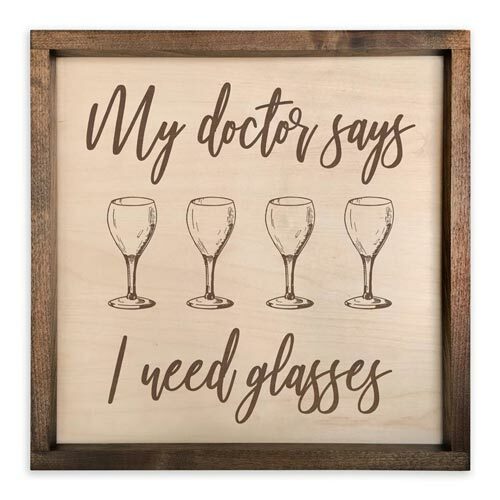 A cheery, fun, and handmade wall decor plaque perfect for the optometrist’s home or office. 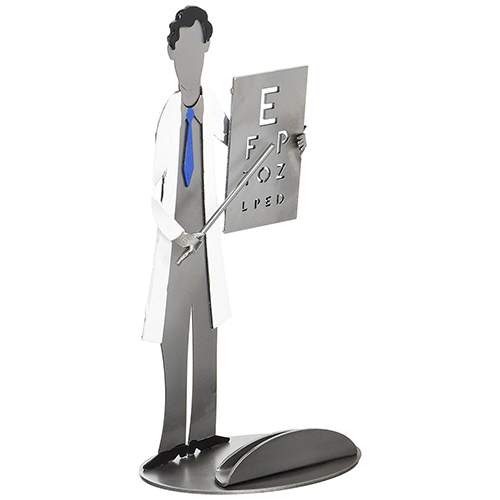 Here is the perfect optometrist office gift idea – a business card dispenser of a mini eye doctor figure holding an eye chart. Clever, attractive, humorous, and appropriate for all occasions. Just one of many themes… Browse more vintage plaques here. You don’t have to get an optometrist something that says “Optometrist” all over it. 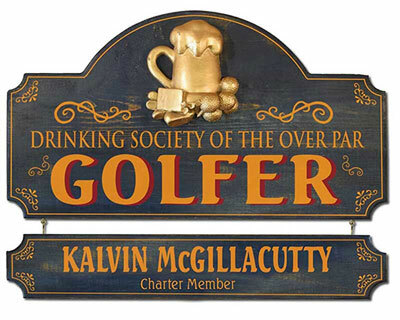 Consider a gift like one of our personalized vintage plaques that reminds them of the things they love outside of work: Golf, tooling around in the garage, going fishing, enjoying the fruits of their labor in a luxurious home bar. 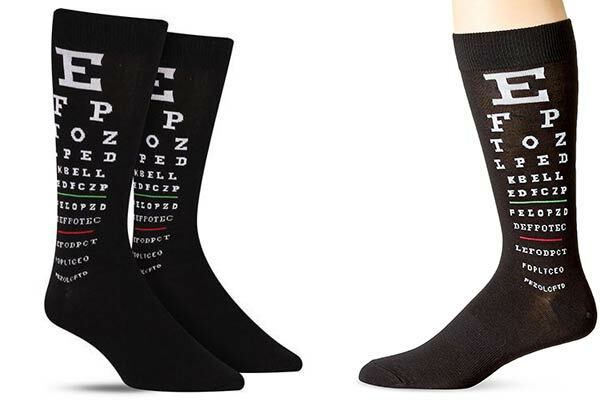 Here’s another optometrist gift idea that may or may not have anything to do with optometry. Vacuum-sealed tumblers are all the rage right now, and even better is one that is customized. You can go with the doctor’s name, business name, or logo; you can do a cute optometrist quote (borrow one from one of the other gift ideas listed here), or you can keep it simple with a name or simple line art depicting a favorite hobby. 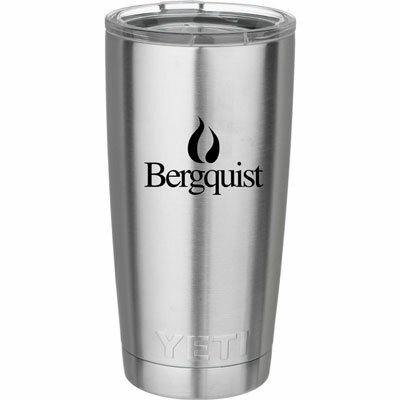 When personalizing one of our YETI or RTIC tumblers, the options are endless! 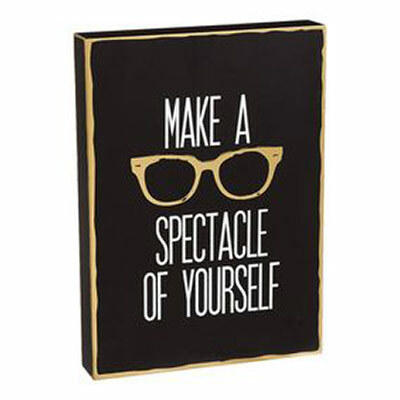 Here’s a fun optometrist office plaque with a modern vibe: “Make a spectacle of yourself.” What optometrist hasn’t heard that one yet?! 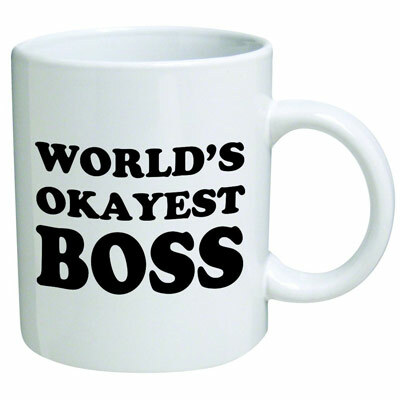 If you’re searching for an affordable, simple, and quirky gift idea for a coffee-loving optometrist boss, then you will know just by looking at the picture above if this is the right thing for you. Handcrafted in the USA from real wood and engraved to order, this is a beautiful gift for anyone who loves wine. Available in two sizes and can include an optional personalized hanging name board. Add the spice of life to your optometrist office with a “living” wreath. 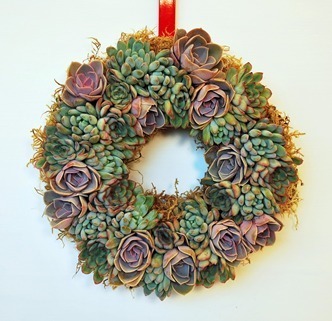 Made from organic echeveria succulents grown and harvested in Oregon, this beautiful wreath is actually still living. Makes a wonderful centerpiece or wall decor accent, great for any home or office. 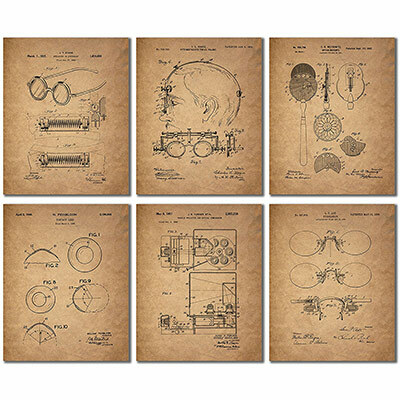 This set of six 8×10 photo art prints are perfect for the optometrist who has it all. Set them in some matted frames and you have a classy, brilliant gift that will revolutionize their office at work or the den at home. 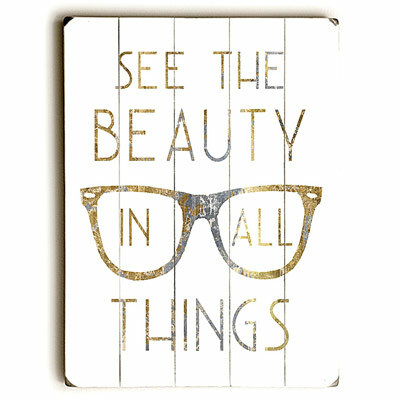 This cheery wall decor piece is the perfect gift idea for the optometrist who can always stay positive. 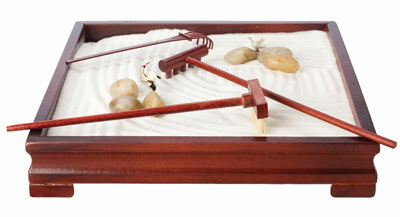 Then, of course, there is the optometrist who maybe needs to learn to stay a bit more positive… in what can be a high-stress occupation, this desktop zen garden provides a relaxing escape in the midst of a busy workday. 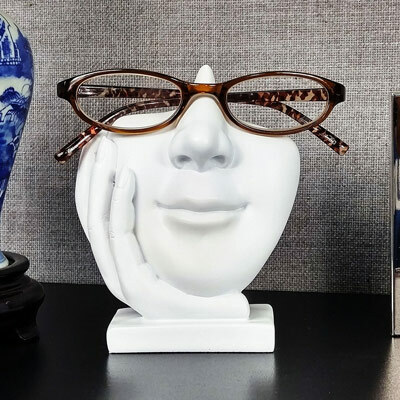 Another simple, affordable, and beautifying accent for the optometrist’s office. 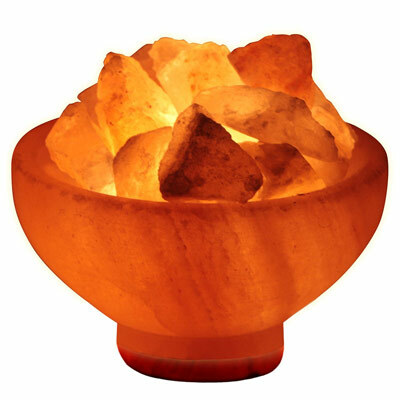 This Himalayan rock salt lamp offers many benefits including air purification, reduced athsma and allergy symptoms, improved blood flow, and more. 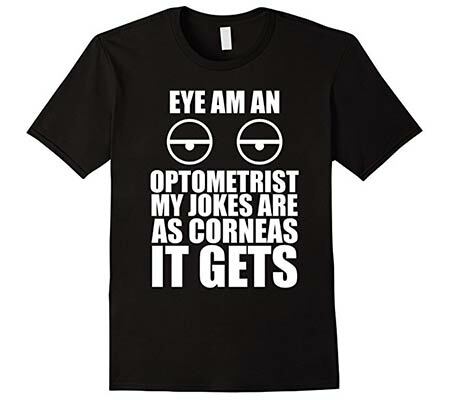 Eye am an optometrist… my jokes are as corneas it gets. The winningest optometry humor gift idea for the ultimate dad-joke-loving eye doctor. There are quite a few cute and interesting eyeglass holders; we’re going to list a few of our favorites. This one gives the impression of an artsy marble bust. Plus you can get a matching cell phone stand and office accessory/pen holder in the same style for a complete set! 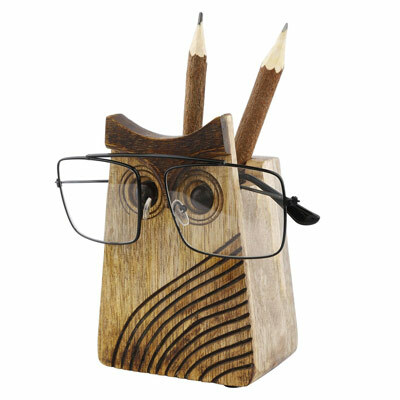 Perfect for the home or office, this owl eyeglass stand is totally adorable with its rustic wood sensibilities and dual functionality. 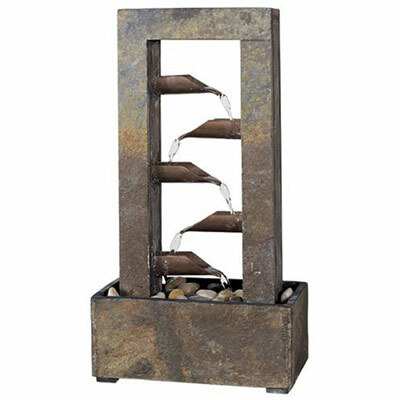 We’ll leave you with the soothing, tranquil sounds of water trickling down through the copper pipes of this slate tabletop fountain. 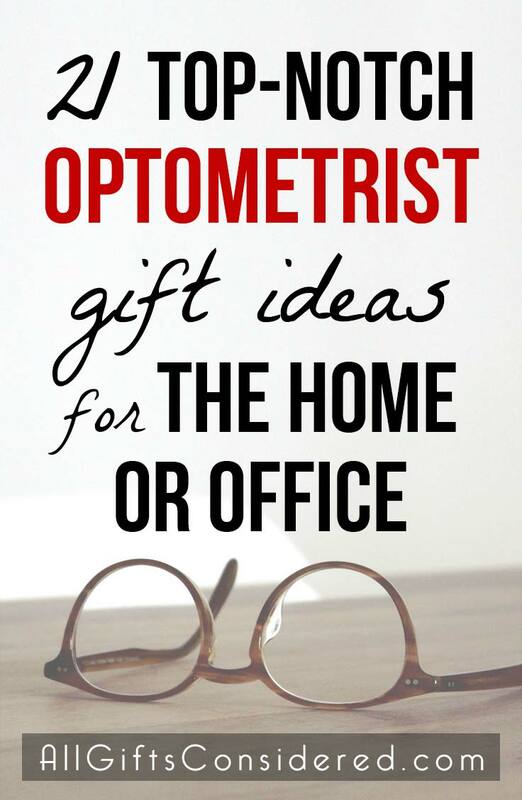 A beautiful gift for the home or office of your favorite optometrist.